When drafting or entering into a contract, whether it be a sales agreement, a real estate purchase contract, a lease, or a services contract, it is important to understand the differences between a covenant and a condition. A covenant is a promise by one party to do something for the other party – the bargained-for exchange between the parties. A condition is an event or occurrence that will trigger one or more obligations under the contract. 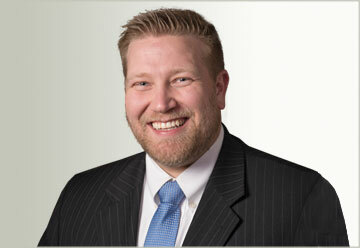 Until that event or occurrence takes place, there is no obligation to perform under the contract. Understanding the difference between covenants and conditions is essential in preparing or entering into a contract, as the failure to perform a covenant can lead to a breach of contract and damages, whereas the failure of a condition relieves the parties of one or more obligations under the agreement. The Utah Supreme Court revisited covenants and conditions in its recent opinion in Mind & Motion Utah Investments, LLC v. Celtic Bank Corp., 2015 UT 94, this time for purposes of interpreting a real estate purchase contract (“REPC”). In Mind & Motion, the parties entered into a REPC for the purchase of a large piece of property to be developed into condominiums. The property was partially entitled, having approved plans, but no plat had been recorded. Thus, in the REPC, the parties agreed that Celtic Bank would record the plats by a date certain. After extending the deadline to record the plats once, Mind and Motion refused to extend the deadline a second time and filed suit for breach of contract to recover its earnest money deposit, liquidated damages, and attorneys’ fees. The District Court granted summary judgment in favor of Mind & Motion, finding that the recording provision in the REPC was a covenant, not a condition, and that Celtic Bank had breached the REPC by failing to timely record the development plats. On appeal, Celtic Bank argued that the recording provision was a condition, not a covenant, because its performance depended on the actions of third parties, in this case various county departments and employees who had to approve the plat before it could be recorded. In affirming the grant of summary judgment in favor of Mind & Motion, the Utah Supreme Court looked at the language that the parties used in the REPC. Relying on terms such as “shall record” and “agrees to record”, the Court held that such language in the context of the agreement, which also included hard deadlines and the use of conditional language in other provisions, rendered the recording provision mandatory, thereby imposing an obligation on Celtic Bank. Thus, the Court concluded that the recording provision was a covenant. In rejecting Celtic Bank’s arguments, the Court noted that the recording provision did not contain any conditional terms, such as “until”, “unless”, “in the event”, etc. The Court contrasted the mandatory language of the recording provision in the REPC with the conditional language of an exhaustion clause in an insurance policy, which was the issue when the Utah Supreme Court last visited the subject of covenants and conditions. The Court’s decision in Mind & Motion is a pointed reminder of the importance of paying close attention to the specific language of a contract and the need for precision to ensure that contract accurately reflects the agreement of the parties. A failure to do so can cause a party to assume obligations it did not intend to, or worse, be liable for a breach of contract on matters that may not be within the party’s control. 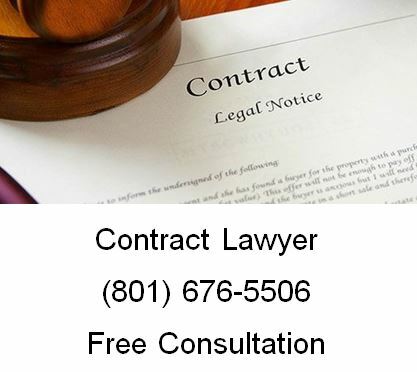 If you need legal help with a contract, call the lawyers at Ascent Ascent Law for your free contract law consultation (801) 676-5506. We want to help you. What Are Some Common Contract Disputes You Might Handle?